Mozart: An Introduction to the Music, the Man, and the Myths explores in detail 20 of the composer's major works in the context of his tragically brief life and the turbulent times in which he lived. Addressed to non-musicians seeking to deepen their technical appreciation for his music while learning more about Mozart the man than the caricature portrayed in the 1986 movie Amadeus, this book offers extensive biographical and historical background - debunking many well-established Mozart myths - along with guided study of compositions representing every genre of 18th-century music: opera, concerto, symphony, church music, divertimento and serenade, sonata, and string quartet. 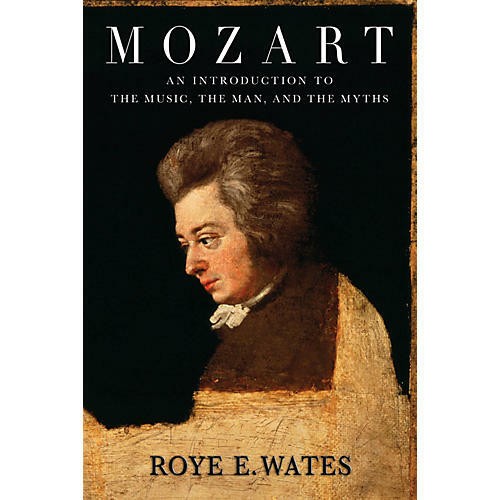 Author Roye E. Wates, a Mozart specialist, has taught music history to thousands of non-musicians, both undergraduates and adults, as a Professor of Music at Boston University and from 2002-2004 as director of Boston University's Adult Music Seminar at Tanglewood, summer residence of the Boston Symphony Orchestra. Mozart: An Introduction to the Music, the Man, and the Myths provides a unique combination of biographical detail, up-to-date research, detailed musical analyses, and clear definitions of terms. Amateurs as well as more advanced musicians will gain a greater understanding of Mozart's encyclopedic mastery.